The original Taco Bell opened in 1962 in Downey, CA. It now stands empty and local preservationists hope to save it. 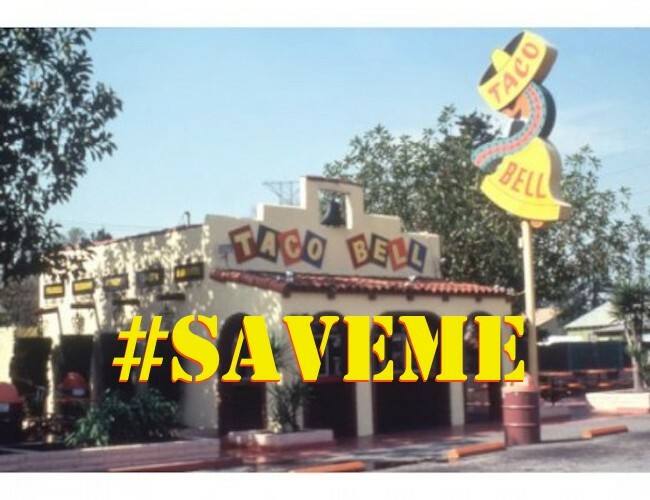 Earlier today, we told you how the original Taco Bell building in Downey, CA, now faces possible demolition after its most recent tenant left the place empty in December. We asked Taco Bell corporate for comment on the story and its response is apparently to start a social media campaign — though we’re not exactly sure to what end. So share the hashtag if you want. Or don’t. The world will probably continue to spin either way.